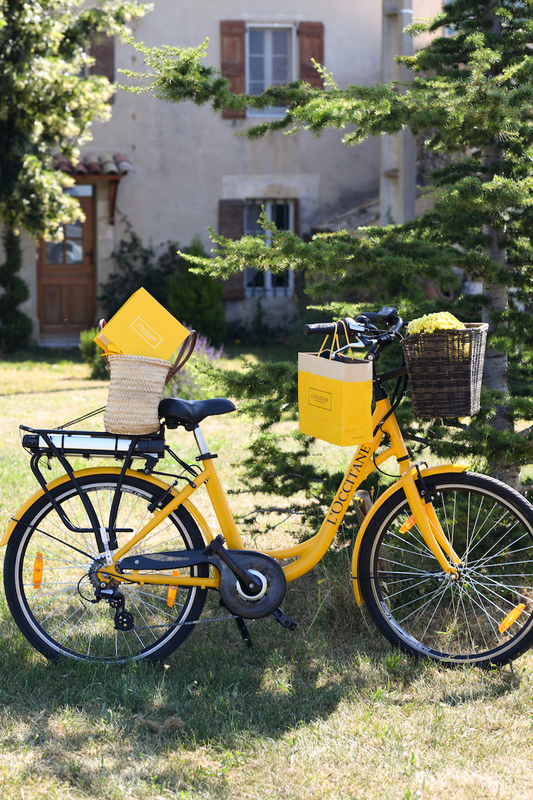 When presented with an opportunity to travel to Provence to learn more about a brand you already love – the answer is a resounding yes! 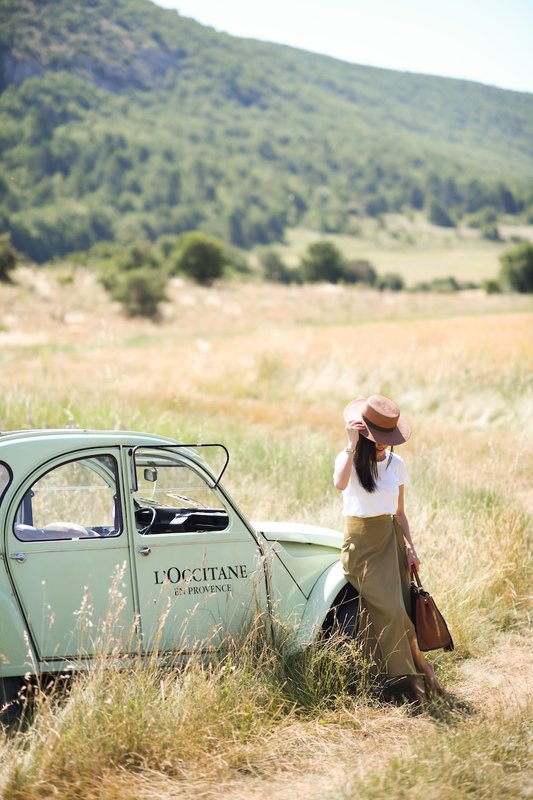 I’ve been sharing bits and pieces over the last week but I’m so excited to finally share my photo diary and my favorite moments from my trip with L’Occitane. I was more of a sunset person than a sunrise person – until now that is. We had an extra early start one of the mornings so that we could chase the sunrise all the way up from a hot air balloon – it was surreal! From that vantage point we could see the rolling hills and all the land that has been cultivated carefully, and with love, for generations. 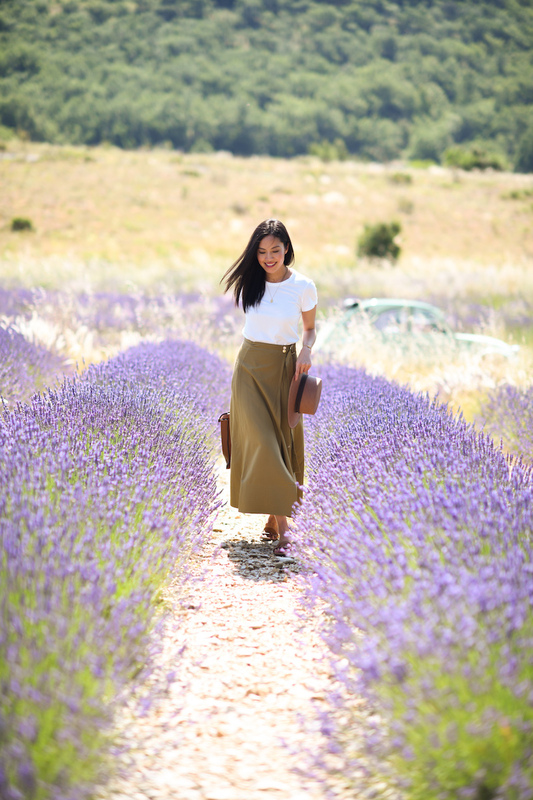 Lavender fields, everywhere! 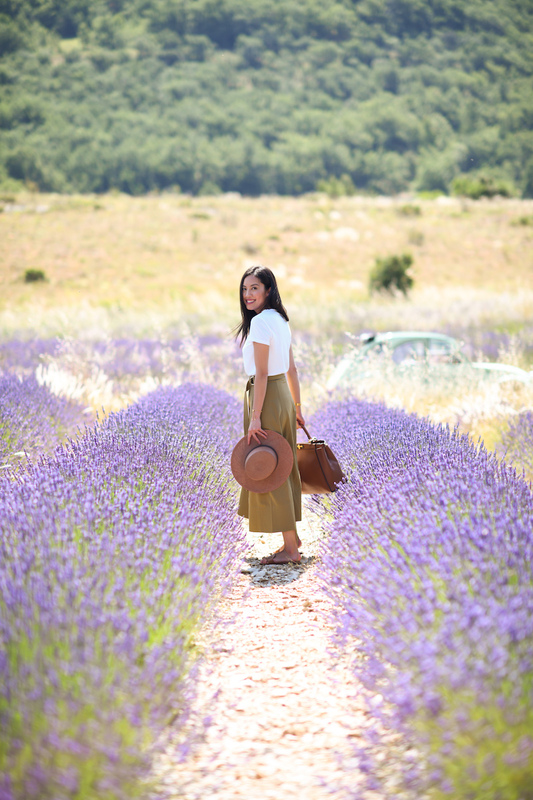 Taking a vintage Citroen 2CV, we then explored a few of the lavender fields up close (bees and all!). Provence is home to the highest quality fine lavender – a distinction that even has its own name, PDO (protected designation of origin). 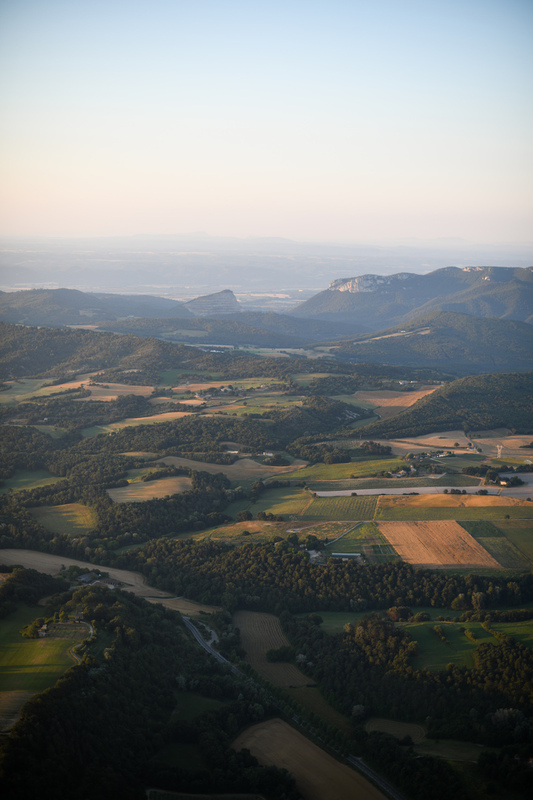 All of L’Occitane’s lavender comes from this region and the company works in partnership with its local producers, with a commitment to respect, fairness and sustainability. 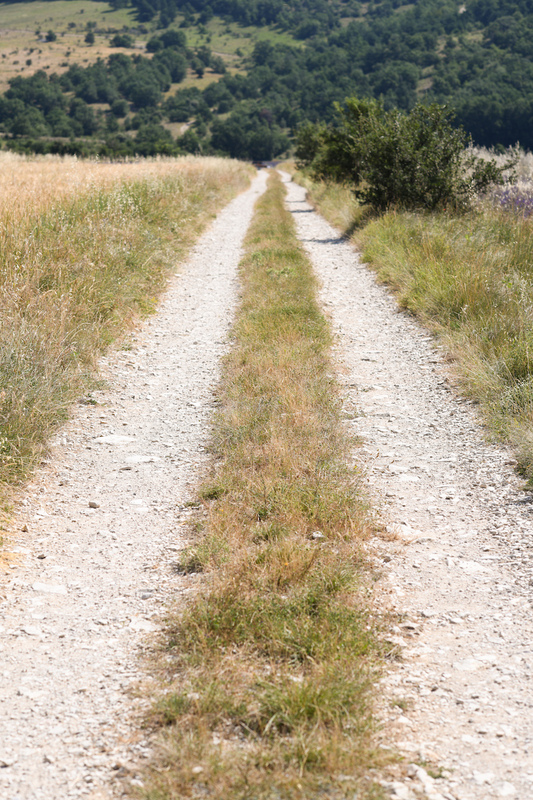 It works with all of its producers this way – from immortelle fields in Corsica to Burkina Faso for shea butter. 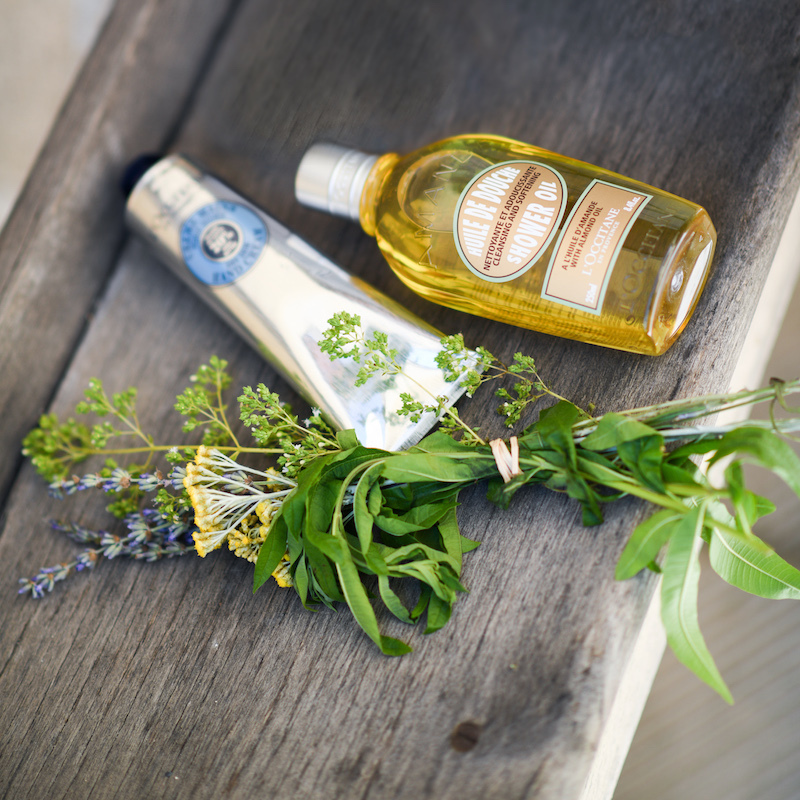 In fact, one of the initiatives of the L’Occitane Foundation, how the company gives back to its global community, is to support the economic emancipation of women in Burkina Faso. 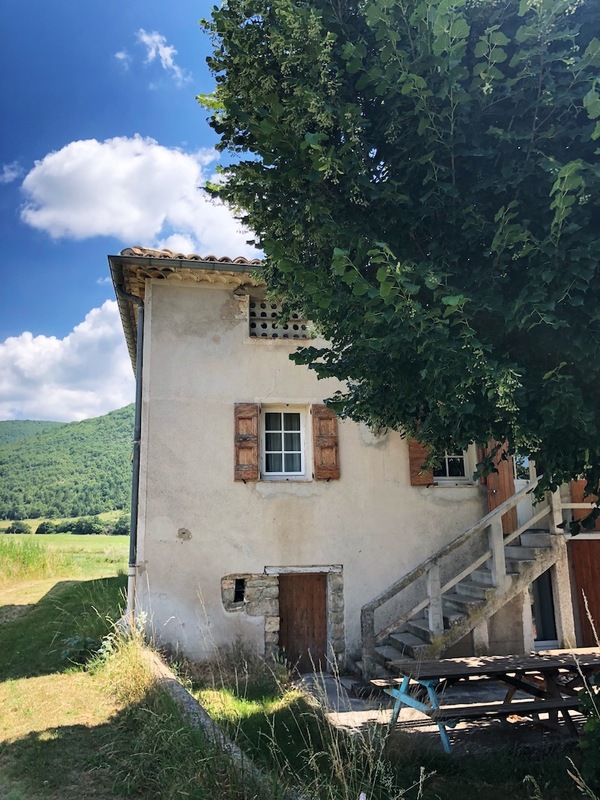 From there we visited a countryside cottage, home of one of Provence’s most well-known trees for it’s majestic size and beauty. 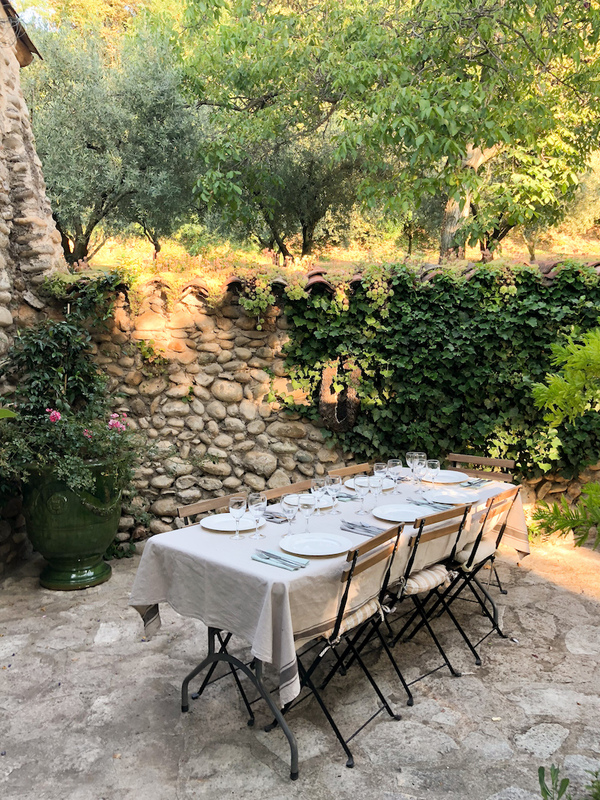 We dined under its cover – which provided a cool, breezy micro-climate away from the sweltering heat. 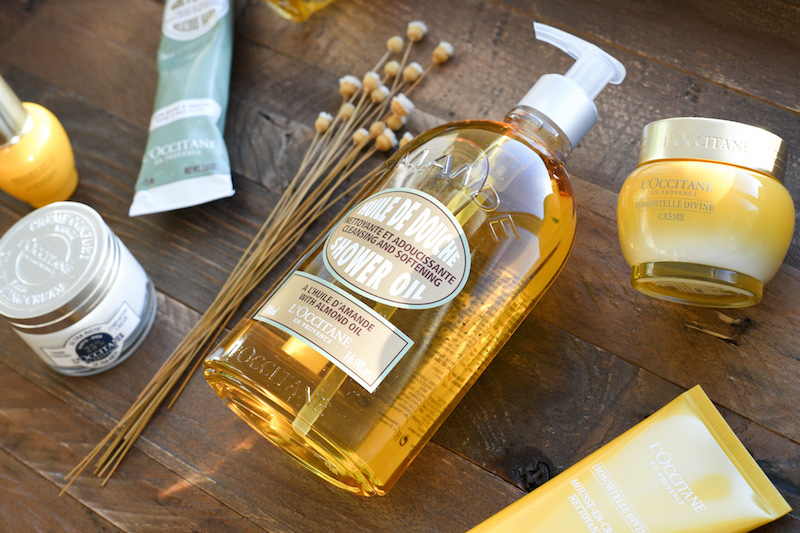 We learned how L’Occitane feels about corporate responsibility (strongly!) and what it is doing to protect biodiversity, battle climate change, and limit their negative impact on the environment. Another highlight was visiting L’Occitane’s headquarters and touring their innovation facility – labs upon labs for molecular biology, plant extraction, and analytical chemistry. All within sight of these lavender fields! It should come as no surprise that these formulations are the result of hard work and diligence. (And I’ll never look at my little “simple” tube of hand creme the same way). Our final dinner. We toured one of their local partner’s olive mill – thousands of acres of olive trees, some of them were centuries old. The work that goes into growing and harvesting… and also to overcome the challenges that global warming has brought to the table. It reminded me very much of the effort that goes into protecting grapes in a region closer to home, Napa. 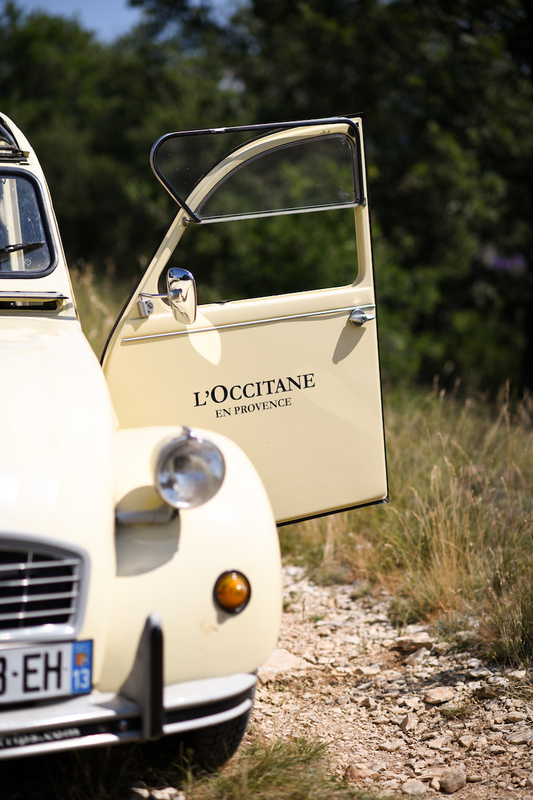 Being in Provence with the L’Occitane team was an absolute dream. I have so much respect for their process and their values, and I feel so lucky to be able to experience all this firsthand. Thank you L’Occitane from the bottom of my heart! What a beautiful image … love ♥️it! ???? OMG your trip there looked incredible! The sunrise sounds amazing! Ah! The lavender fields look amazing. Never been to Provence and it looks absolutely gorgeous. Provence is sooo beautiful! Definitely at the top of my list of must-visit places in France! <3 🙂 All of these photos are amazing! Hope you had an amazing time! 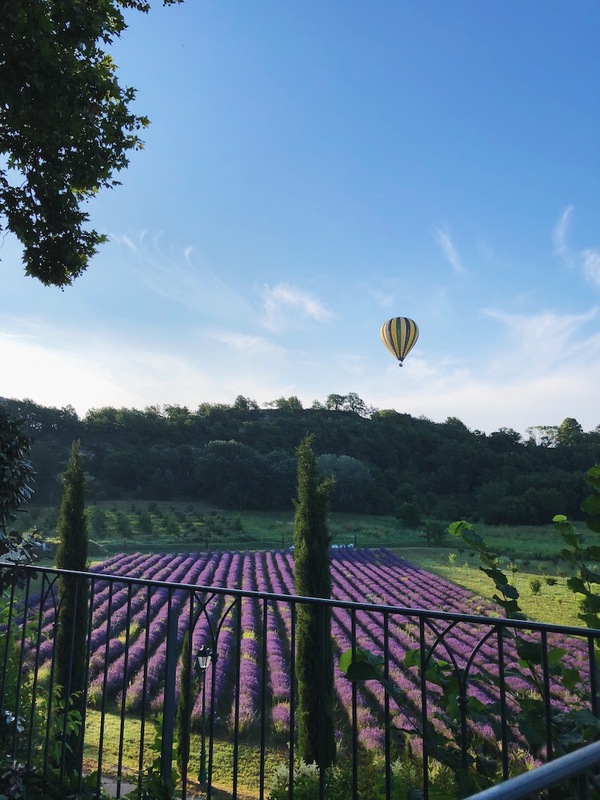 Provence looks so beautiful, you have captured it so well! that lavender field is everything! so stunning.